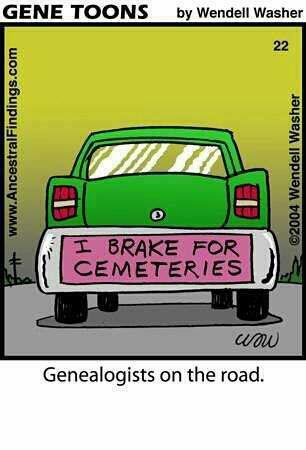 This entry was posted in Friday Funny and tagged Family History, Friday Funny, Genealogy by Catherine. Bookmark the permalink. I’d love to stop at every cemetery I come across and snap photos. A drive out in the country reveals a good many old, probably family, cemeteries. But they’re obviously not forgotten even though they are sometimes out in the middle of nowhere (I come to this conclusion because the grass is always cut). Have you ever heard of the website Find a Grave?